If you are like me, you are doing multiple IEPs at one time! It became hard for me to remember which step I was at with each student so I created this. 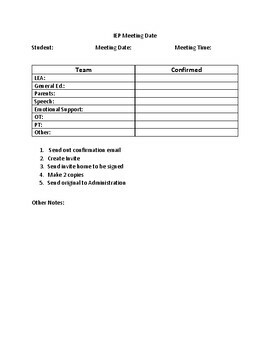 I write down every person who is attending the meeting and check them off when they have confirmed the date and time. Once everyone is checked off, I follow the steps below.